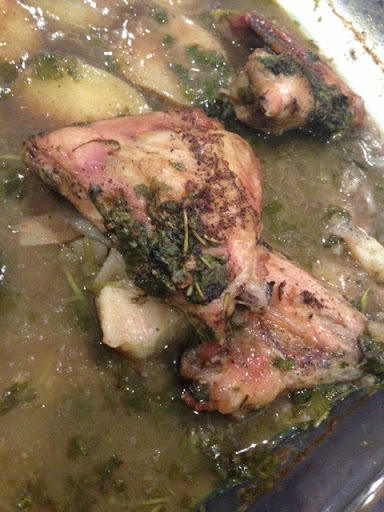 One of the most popular dishes in my house is Yemeni Chicken. I got this off the Nestlé website and it is so delicious that my usual modifications were not necessary. More importantly, it is super healthy. No oil, no frying, no kidding. And for those who don't want the stench of cooking to permeate their hair/clothes, then this recipe is for you. 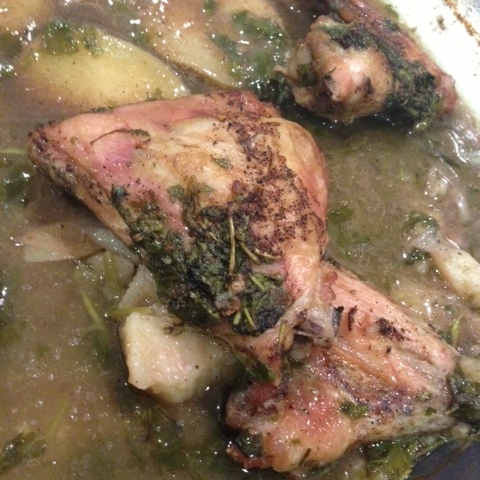 My kids love the lemony taste of this chicken, cooked to perfection - crusty on the outside, juicy on the inside. And the potatoes are just the vegetable to accompany this meal. 1. Preheat your oven to 200C. Spray the bottom of a baking dish. 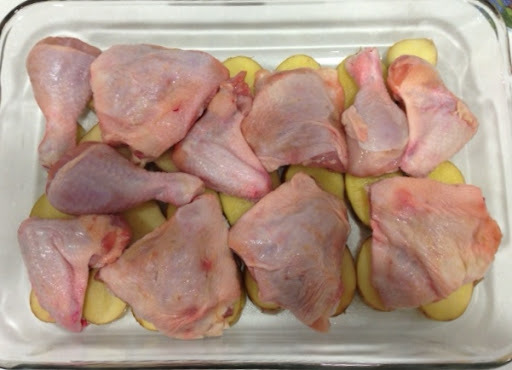 Arrange potatoes and then arrange chicken on top. Set aside. 2. 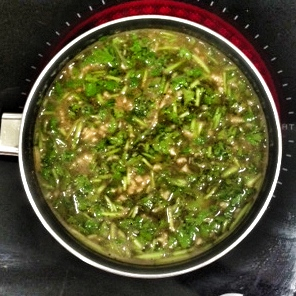 In a saucepan, add water, spices, coriander, garlic, corn flour mixture and Maggi cubes. Stir until it simmers. 3. 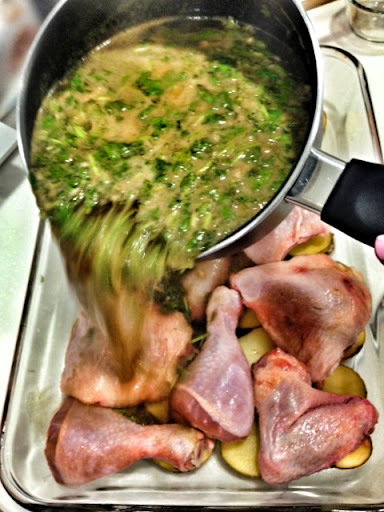 Pour the mixture on top of the chicken. 4. Bake for an hour to an hour and a half. 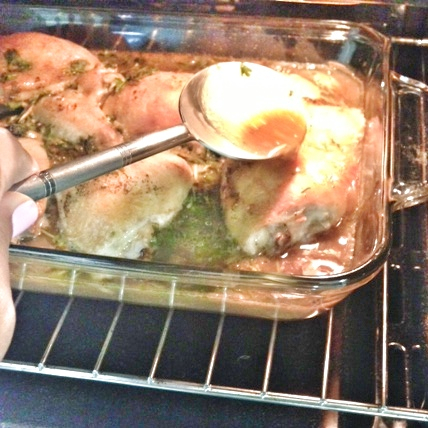 As the chicken cooks, spoons some of the sauce on top to maintain juiciness. 5. 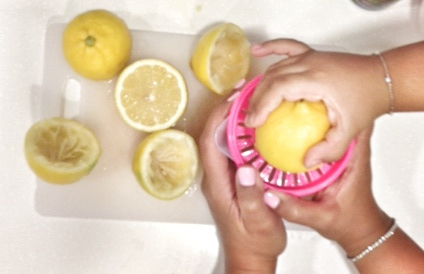 In the meantime, squeeze some fresh lemon juice (or get your daughter to help out). 6. Once the chicken is ready, pour the squeezed lemon juice on top and serve with brown rice. How good does this look? - You might find it odd that this recipe contains cinnamon and cardamom, but trust me - the 'smell' of chicken is destroyed with these two spices. - Add lemon once it's done baking and not before - lemon juice goes bitter when baked for long. Chinese for f6oor? Yes please!